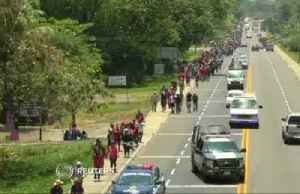 Some 1,000 migrants set off from a city in Honduras on a 4,000km journey to the US border. 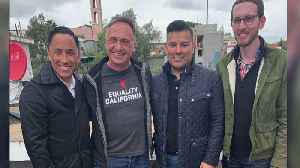 Tempers frayed among hundreds of mostly Central American migrants gathered on Wednesday in southern Mexico, delayed as Mexican officials sought to slow down the U.S.-bound flow that President Donald..
▶ Videos for "Migrant Caravan"
A California politician and several celebrities crossed the border Tuesday in an effort to shed light on the struggles of LGBTQ migrants at the border. 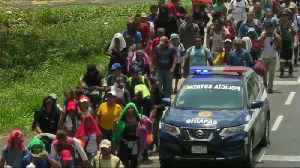 Hundreds of migrants crossed into Mexico&apos;s southern border city of Chiapas on Friday (April 12), seeking a visa to aid them on their path north towards the border with the U.S.. Rough cut - no.. 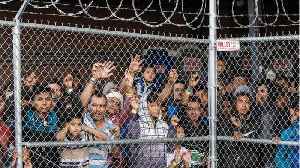 Hundreds of migrants crossed into Mexico's southern border city of Chiapas on Friday (April 12), seeking a visa to aid them on their path north towards the border with the U.S.. 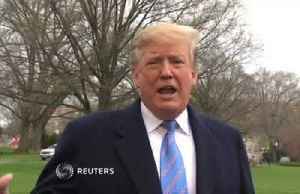 Rough cut - no reporter..
President Trump tweeted on Friday that he's seriously considering releasing detained immigrants into sanctuary cities. 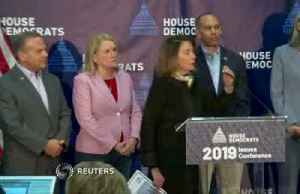 Democratic House Speaker Nancy Pelosi said on Friday the White House's reported plan to release detained migrants into sanctuary cities is 'disrespectful.' Rough Cut (no reporter narration). Multiple outlets report the Trump administration floated the suggestion at least twice in the last six months. Reuters reports President Donald Trump’s administration has stepped up pressure on the U.S. Department of Homeland Security. 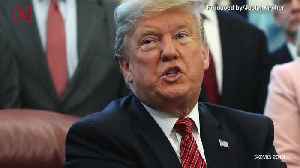 It's now more likely to fire more senior officials as the agency struggles..
President Trump on Friday said he "never changed' his mind on shutting down the southern border and that he will follow through if necessary but prefers to impose tariffs if Mexico doesn't do more to..
President Trump has softened his stance on closing the U.S./Mexico border and instead has threatened to use tariffs. Veuer's Justin Kircher has the story. 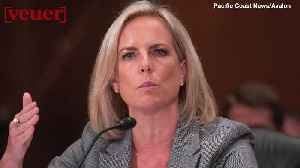 The Department of Homeland Security Secretary Kirstjen Nielsen equated the illegal immigration at the U.S. southern border to a major natural disaster. Veuer's Justin Kircher has the story. 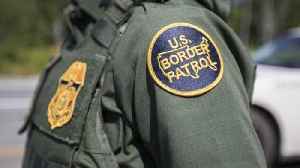 The girl died in U.S. Customs and Border Protection Custody last December. A massive caravan carrying some 20,000 migrants may be en route to the US border. It's being called the mother of all caravans. 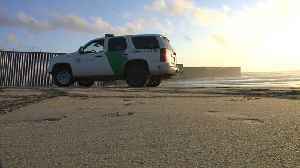 There was another close call along the U.S.-Mexico border near Imperial Beach Thursday afternoon following three breaches over the last week. 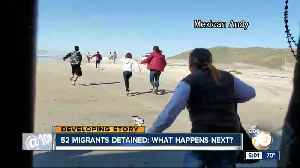 Video taken in Mexico shows dozens of migrants climbing over the border fence in Border Field State Park. 52 migrants detained: What happens next? 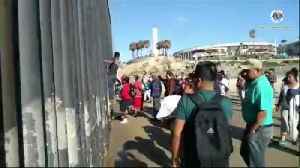 Footage captured at the Tijuana-San Diego border from December 2018 shows a Border patrol agent photographing people, including journalists, on the other side of the fence. 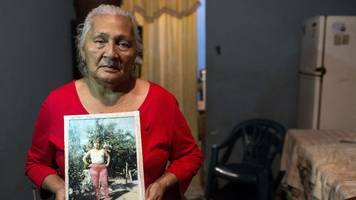 Two senior U.S. senators asked U.S. Customs and Border Protection on Monday to provide information on a report that the agency inappropriately tracked seven American journalists covering the migrant..
How migration has affected four generations of one Honduran family. The U.S. government has tracked activists and journalists involved in the migrant caravan from Central America at the end of 2018, NBC News reported on Wednesday. Nahín, 17, left her home in Honduras with a migrant caravan headed for the US but turned back in Mexico. 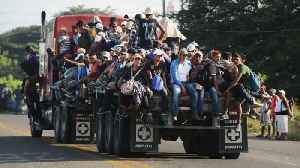 Hundreds of migrants who left Honduras on Tuesday on their way to US have reached Guatemala City. 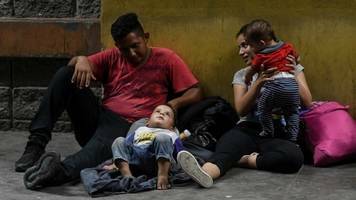 Several hundred Honduran migrants in a new U.S.-bound caravan crossed into Guatemala on Tuesday, as U.S. President Donald Trump seized on news of the advancing group to try to build support for a wall..
A new U.S.-bound caravan of Honduran migrants grew to nearly 1,000 people as it neared the Guatemalan border on Tuesday, a Honduran official said, while U.S. President Donald Trump seized on news of..
Mexican authorities will meet with Central American officials to prepare for the arrival of a planned new caravan of migrants headed to the United States next week. The eight-year-old migrant boy from Guatemala was trying to cross the border from Mexico.